Introduced in 1973 and issued to large trailers, semi-trailers and pole trailers, usually pulled by truck tractors. At different times they have been designated by the stacked serial prefixes FR (early) and FT (later). 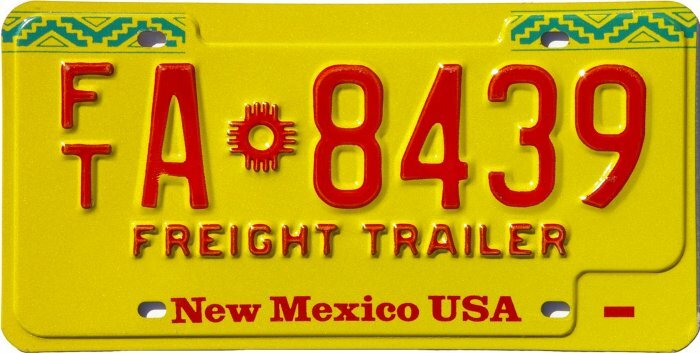 The FT prefix has also been used for Farm Trucks, and FR is used as a suffix on Farm & Ranch Heritage plates. The dates shown under each style of plate indicate the approximate span of years during which the respective style was initially issued. As these are permanent plates, however, all styles could potentially be found on the road today.